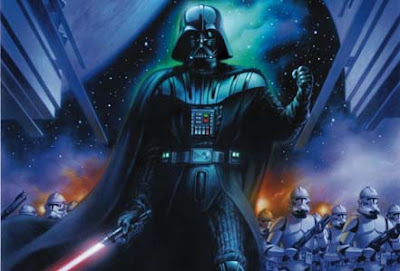 If I had a dollar for every time I've fast-forwarded Star Wars movies to Darth Vader's scenes, I'd be sitting poolside at my penthouse, soaking in the sun and enjoying freshly squeezed lemonade from a handcrafted tiffany pint glass. Now the folks at Dark Horse decide to give the guy his own mini - it's like someone removed all the boring bits! If only they could Jedi mind trick (or the Sith equivalent) that word 'mini-series' away. * STEEL #1 (One Shot - DC) Doctor Who novelist Steve Lyons is set to shoot up the comic star ladder pretty quickly. Here, he takes Steel, DC's own dude who needs more than a mini for a run, right into the path of that Doomsday fellah - the one who killed Superman. Will Steel be recycled or prove he's a man of different mettle? What's a decade without a Daredevil de/reconstruction or two? Here Marvel rewires the 'Man Without Fear', exploring the demons that lay curbside as you walk the road to redemption. Andy Diggle and artist Jock keep Daredevil's history of great creative duo's pumping. 'Mini-series' - it's the new black. 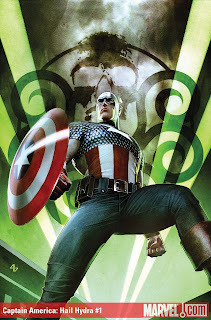 Now writer Jonathan Maberry sows together a sleek little number using Captain America, the undead, Hydra and the staple stitch in any comic tale worth it's salt - time. From WWII to today, each issue is by a different artist, yet unified with a hotter than hot cover by Adi Granov. What January reads are you looking forward too?